Allow plenty of time to arrive on time as works on State Highway 16. Take charge and put in a pre auction offer. We have clear instructions from our sellers, get us moving ASAP. They will be flexible around the deposit and settlement terms to ensure that the sold sticker goes up. 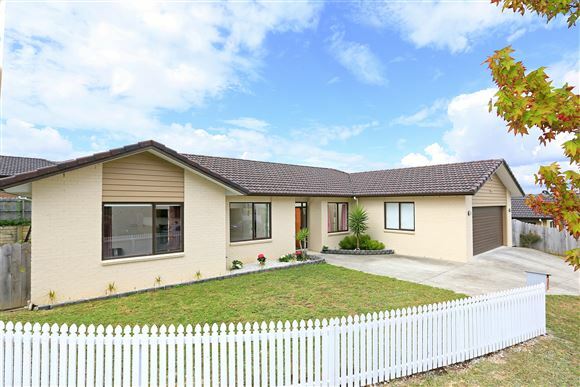 Every home buyer on the market needs to view this property as it will suit families and retirees alike. There is a very good feel about this place. It is certain to impress your family and your friends alike. This immaculately presented and well maintained 5 bedroom ,2 bathrooms and 3 toilet brick and tile home is a must view. Situated in the highly sought after Lake Panorama area of Henderson Heights, this lovely property has formal and casual living spaces that combine seamlessly with a highly functional modern kitchen and a great entertaining area.